The severe accumulation of microplastics (plastic particles <5mm) in the marine environment has been recognized by the scientific community, but its ecological consequences are by far not understood. Microplastic particles are a component of many consumer products or clothes, and enter the water circulation when we clean our face or wash clothes. Further, these micro-sized plastic particles are formed when larger plastic fragments break down via photo-, thermal and/or biological degradation. Due to their small size, microplastics can readily be ingested by a wide range of marine organisms, mistaking the particles for food (Ivar do Sul & Costa, 2014). Not solely the ingestion of the plastic particles themselves, but also associated toxins (Teuten et al., 2009) and potentially harmful microorganisms colonizing the plastic (Maso et al., 2003, Zettler et al., 2013) might pose a threat to the marine foodweb. Microbial communities are a highly abundant and fundamental part of the marine foodweb. Many microorganisms accumulate in biofilms on marine particles (Grossart et al., 2003), as this lifestyle offers protection, efficient metabolism and easy dispersal. If naturally occurring or anthropogenic-introduced pathogens use microplastics as vector, still needs clarification. The joint project MikrOMIK is aiming at a comprehensive analysis of microplastics in the Baltic Sea, focusing on the microbial populations colonizing the plastic particles. So far, only rough estimations of the abundance and distribution of microplastics in the Baltic Sea exist, and nothing is known about the interaction between microplastics and microorganisms in this ecosystem. 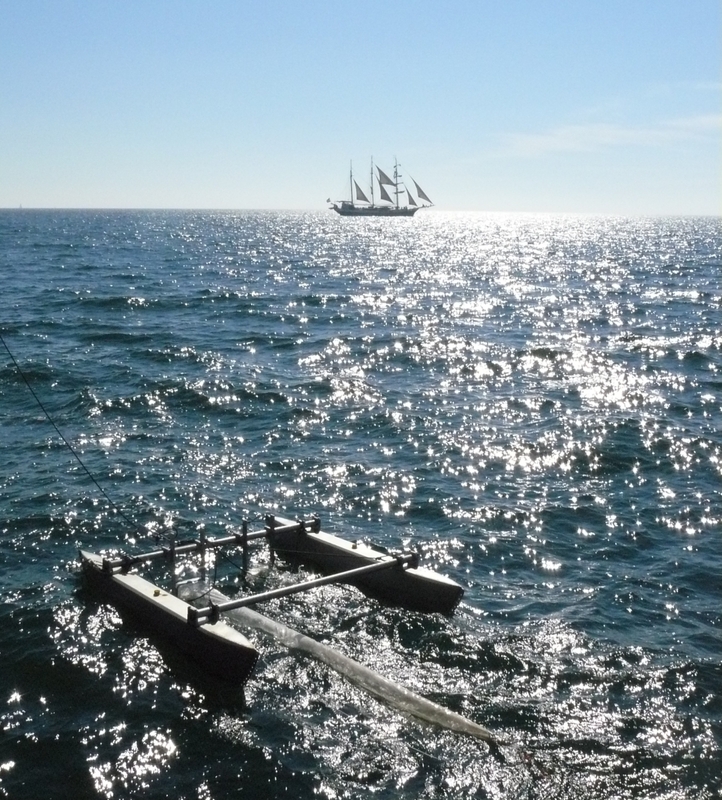 Within the project, methods for the sampling and identification of microplastics from seawater and sediment are being evaluated; abundances, sources and sinks of microplastics in the Baltic Sea are being determined; microplastic sedimentation behavior is being explored; ingestion and egestion by higher organisms is being studied; and microbial plastic biofilms, including potential pathogenic members, are being investigated. (I) A first-time analysis of the distribution, potential sources and sinks of microplastics in the Baltic Sea. (II) The determination of the role of microplastics as substrate for specific microbial populations and their functions. (III) The assessment of health risks for the littoral states of the Baltic Sea, emanating from microplastics as a vector for pathogenic microorganisms. Applied methods will encompass the fields of molecular and infection biology, microbiology, chemical analytics, bioinformatics, ecology, physical oceanography and modelling.